Mobile apps help businesses attract customers, broaden their target audience, increase sales and loyalty to the brand. In essence they have only one purpose: to enhance every shopping experience. Traditional brick and mortar stores struggle to provide equal levels of convenience and seamless customer service alongside these new sales and marketing channels. The benefit of having an app is well documented, however, many companies significantly underestimate the challenges of development of bespoke apps often getting overwhelmed with the extent of ongoing resources and costs necessary for maintenance. Frequent releases of new iOS and Android operating systems and phones require continuous app upgrade developments just to stay afloat. Analyzing the target market is crucial to help marketers understand their consumer’s challenges and needs. Everything sought out during the research will contribute to the new app’s content and its delivery. However, customer’s expectations and demands will change over time, and it’s important to repeat this process to keep the app attractive. Having sufficient funds for app development is often the number one challenge. The extent of resources such project requires gets difficult to digest. The predicted return on investment is likely to fluctuate, as the project gets exposed to various business risks. A successful app development and its deployment do not happen overnight. It is a timely operation that necessitates excellent project management, communication, resources and hands-on expertise. Time constraint puts decision-makers under a lot of pressure, after all programmers are generally not business analysts. The elusive set of skills required for app development often outstrips the capabilities of many businesses. Ideal candidate would possess both technical and business management skills. Many companies therefore, have no choice but to recruit someone experienced or hire external app developers. In reality, such commitment along with other challenges puts off many of them from developing an app altogether. Operating systems often require individual optimization. The app’s design, resolution or speed of response will need adapting per different system version. Moreover, any app requiring back-end integration can run into compatibility issues. Technology progresses rapidly, as a consequence IT maintenance is vital to guarantee the app’s sustainability. Bricks and mortar stores are ripe for an upgrade. Technology progresses at a fast pace, therefore even the most optimistic expectations can fall behind during the time it takes to develop and implement a fully tested app, putting ALL stakeholders at risk. There is a solution that can be deployed immediately to help business enrich in-store customer shopping experience. Available now, buzz2get app overcomes the challenges of an app development programme, making it an ideal low-risk investment for the current market demand. Buzz2get is a ready to use app that offers customers a quick and simple way of calling for general help or leave instant feedback. The app delivers in store customer convenience through its unique functionality, communication and feedback channels. Setting up buzz2get in store is a piece of cake. Quite simply, retailers put out buzz2get codes in areas where their customers are most likely to require help. Shoppers can then scan and use the app for instant customer service. 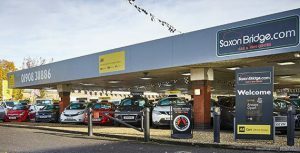 Their requests are displayed instantly on a WiFi enabled tablet or a Smartwatch for the staff to address. buzz2get is a stand-alone cloud-based system that does not require any integration with the existing IT infrastructure, making it ideal for ad-hoc trials. There is virtually no IT maintenance involved in running the app so running costs are very low. Geniusin can also provide API’s and work alongside EPOS Systems if required to enhance your existing apps or provide further integration for special or bespoke features. There is virtually no development cycle with buzz2get, as clients choose from the existing pool of function buttons, ones that best match their requirements. The app is incredibly simple to use and navigate through, therefore requires minimal if any staff training. Running a trial with buzz2get is a risk free opportunity to test out and enter the digital transformation era. The app delivers competitive advantage through its Geniusin engine, a system that tracks operational performance using insight reports and drive marginal gains. The most attractive buzz2get attribute lies in its ability to collect live customer feedback and real-time flags on service complaints. Data of this value gives retailers the chance to manage service dips before they reach social media. Above that, the available metrics help to identify training needs and support staff engagement initiatives. 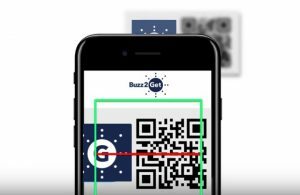 If you would like to find out more about buzz2get or apply for a trial please visit www.buzz2get.com or email support@geniusin.com. 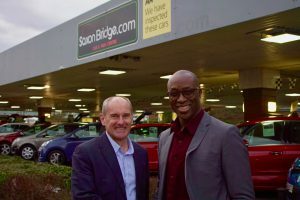 Next PostSaxon Bridge partners with Buzz2Get to offer it’s customers car buying convenience.